Kincumba Mountain- BABIES | Raw & Unearthed. Enrolment is term based alongside the NSW School Terms. Our Raw&UnearthedBABIES sessions are usually 9 week Terms. Our sessions are 100% child led unstructured outdoor all weather play! 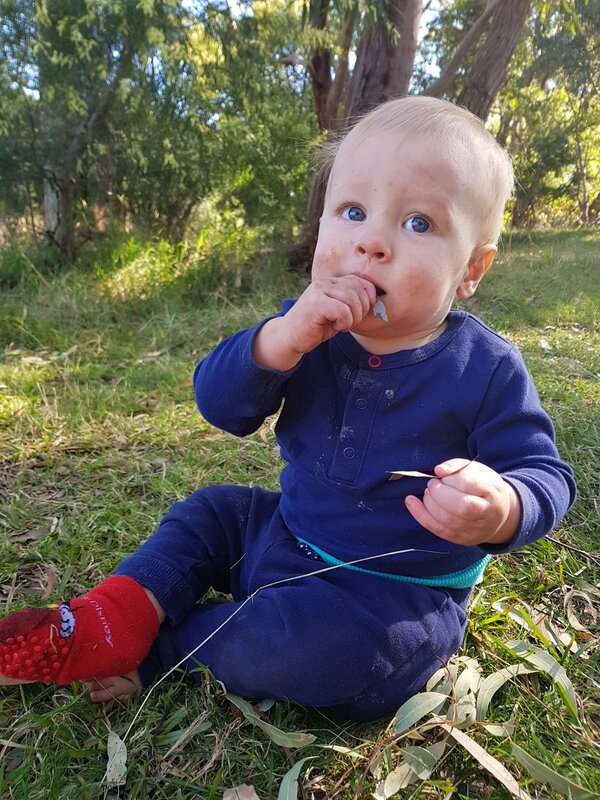 Each week we set up our babies session in a slightly different location on the reserve to offer opportunity to explore the natural world through different terrains eg, under the vines or on a rocky platform. Over the term we will revisit each space to explore and build on experiences. An open ended exploration play space is offered each week, such as mud, clay or charcoal art for a full sensory experience! We provide unhurried, unscheduled time for the babies to investigate, explore and discover as they make sense not only of the world around them, but also of their own capabilities and strengths. 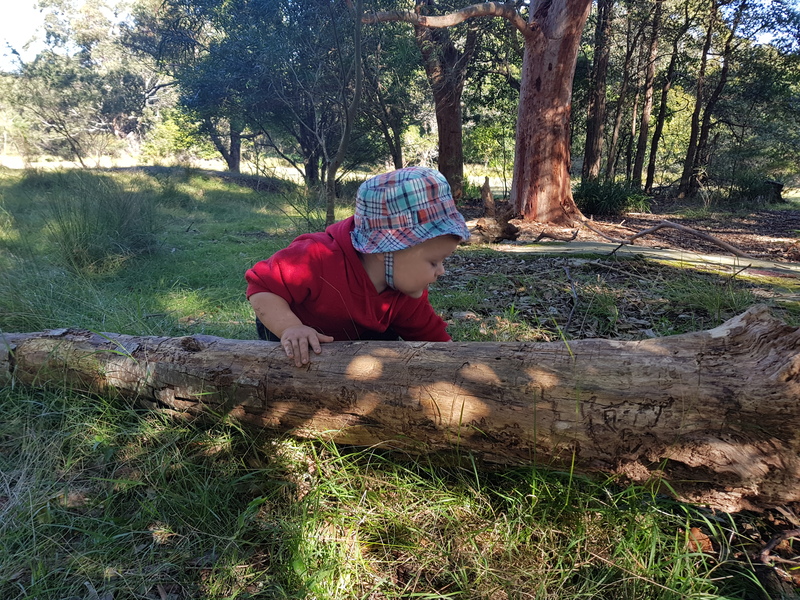 Exploring mud, rocks, grass, bush walking, and observing wildlife are just some of the many play ideas that may evolve during our sessions as the bubs absorb the wondrous world around them. Raw&Unearthed PLAY is all about slowing down from our busy lives to reconnect with the natural world and each other. It is the perfect opportunity to ‘just be’. Engineering. Delegating. Trial & Error. Perseverance. Overcoming frustrations. Readjusting. Connecting. Resilience. When first attempts at knot tying didn't work...innovative thinking led to trial & error using sticks to secure it. Peers were directed with the task of finding sticks so the rope could be held by hand. The challenge was faced & frustrations overcome as the sticks broke, the rope was pulled & it all fell apart. Resilience was strong & after a few more attempts that again didn't work, a new plan was developed. An onlooking peers skills were resourced to help complete the task. (A peer who just happened to be our knot tying phenomenon) They worked together sharing skills & collaborating on ideas. until the next gust of wind…..